Vietnamese striker Lê Công Vinh has been named one of the seven best strikers in the history of the AFF Suzuki Cup, according to the tournament’s official website. The website said that hat-tricks against Cambodia and Laos in 2004 and 2007 had launched Vinh onto the regional stage, but it was in 2008 that he truly won the hearts of the Vietnamese public. Việt Nam advanced to what was their second final and, having not scored prior, Vinh grabbed the winner in a 2-1 victory over Thailand in Bangkok to set up a tantalising match in Hà Nội. With Thailand a goal up and the game on a knife edge, Vinh secured Việt Nam’s first ever title with a 94th-minute equaliser to secure a 3-2 win on aggregate. Vinh is the first Vietnamese player to have played in Japan and Poturgal. He has taken part in seven AFF Cup events and scored 15 goals. 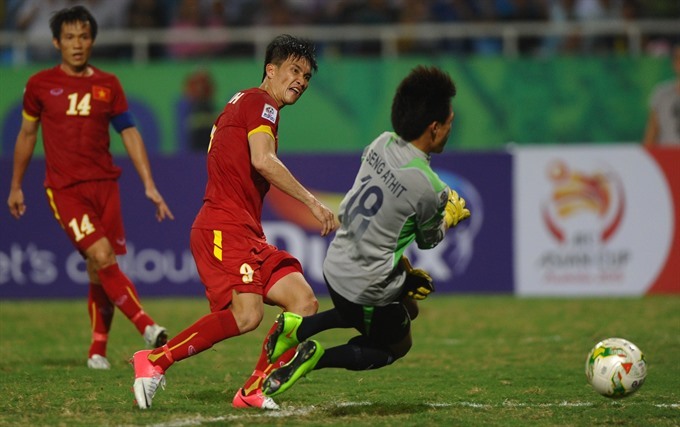 AFF Suzuki Cup 2016 was the last event Vinh played in, where he helped Việt Nam reach the semi-finals and then announced his retirement from the competition. The website also named Noh Alam Shah of Singapore, Teerasil Dangda of Thailand, Safee Sali of Malaysia, Phil Younghusband of the Philippines, Aung Thu of Myanmar and Bambang Pamungkas of Indonesia. Shah is the top scorer in the history of the tournament with 17 goals.